Am I Dreaming You? Are You Dreaming Me? 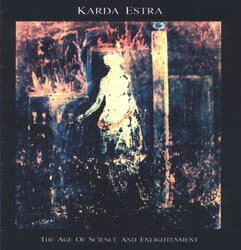 The sixth Karda Estra album continues their unique exploration of progressive and classical stylings using both modern and orchestral instruments. The long suite “The Return of John Deth” is something of a new departure for the group where each part has its own atmosphere that evolves around the main theme point. Classical instrumentation and ethereal female voice mix with electric guitar/bass/keys/drums to give haunting and melancholic melodies bound together by beautiful production ideas and great progressive arrangements. A must for those fans of the band and those into adventurous and classically inspired prog.